Hacking is no longer limited to bored teenage techies. It is a tool used by organized crime, unfriendly nations, radicals, extremists and terrorist groups. Today’s potential cyber risks and exposures are far more severe than just compromised personal information. Vulnerabilities in information systems threaten the entire country’s physical and financial safety and security. Cyber terrorism is real and it will continue to be exploited and "perfected". Cyber terrorism falls into many categories. The first, well exploited by Hollywood, would be hacking into a system in order to cause physical harm to people or property. Examples include opening a dam, shutting down a power grid or causing highly dangerous situations at refineries or chemical plants. The second type of cyber related terrorism would be hacking into a system with the intent of causing massive financial harm as a direct result. Raising Money - Setting up electronic theft, fraud, money-laundering or other schemes to fund other terrorist activities such as recruiting, planning, and executing future attacks. Using Malware – Hacking into a network to plant Trojan Horses, spyware, viruses, or other malware assisting in theft, destruction, or manipulation of assets, funds, information or data. Obtaining Remote Access - Accessing a computer or network to gain “safe” web access. To avoid detection, terrorists communicate, plan, time events, purchase tickets, etc. under the guise of such activities originating from a trusted source. This could be your organization’s network. Google: "How to hack into a network," to see thousands of very scary results. Identity Theft - Terrorists use stolen identities to cover their actions and help elude detection. These identities also include “virtual identities” such network IP or email addresses. There are many benefits of stealing a virtual or online identity. Information gathering and planning can be made much easier by exploiting ‘trusted’ relationships when acting as the stolen identity. As an example, obtaining information from others as a ‘trusted’ email sender. Manipulate Stock Prices - Online stock trading and message boards have resulted in an environment where it is very possible to deliberately manipulate a stock’s price. This is made even easier and ultra-transparent with the ‘right’ stolen identity. Terrorists can use this as an additional funding source, or to manipulate stock or commodity prices with the ultimate intent of moving markets into chaos. A virtual ‘attack’ on a given company’s stock, rather than a physical attack on their facilities, could be highly effective. The planning and execution stages would be less detectable, and in particular, by using stolen identities through ‘safe’ networks. Can target any stakeholder — individuals, schools, municipalities, corporations or other organizations, including entire industries, sectors, markets, economies, governments, etc. Regardless of the cost, post September 11th, there is currently not enough, and likely there will never be enough, terrorism related insurance available globally to assure any organization’s financial survival following a serious event. On the other hand, the good news is that approval under SAFETY Act automatically grants immunity, liability caps, affirmative defenses and other incentives for entities providing or using approved anti-terrorism products, technologies, facilities, software, procedures and/or services. The very nature of network and IT security protection makes the developer, provider or user an ideal candidate for SAFETY Act protection. 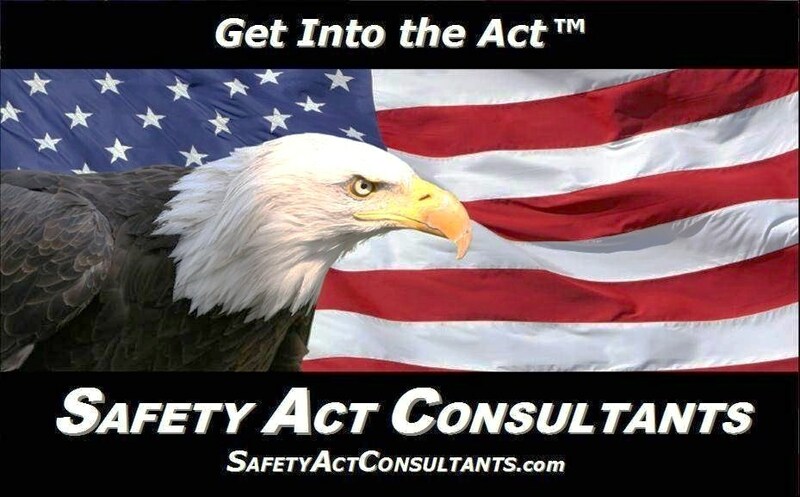 We can help you use SAFETY Act to drastically reduce the enterprise threatening liability exposures you will face if a cyber terrorism event somehow involves your products, systems, networks, hardware, software, advice, services or facilities. In addition, entities that sell or provide anti-terrorism / e-terrorism goods or services to others will enjoy a significant marketing advantage and higher demand for their approved products and services. To qualify for SAFETY Act protection, the protections utilized do not have to be dedicated exclusively to preventing e-terrorism but they do need to have an anti-terrorism element. Network protection is an ideal example of simultaneously guarding against both terrorism and non-terrorism threats. PERI - "Cyber Terrorism and SAFETY Act"
The Public Entity Risk Institute (PERI) is an independent thought leader and definitive resource for risk management, serving public entities, small businesses and small nonprofit organizations. Its mission is to improve its constituents’ sustainability by enabling them to identify and address their risks and vulnerabilities. PERI provides guidance through relevant and high quality publications, information, training, resources, and consulting services. PERI was established in 1997 as a 501(c)(3) tax-exempt, nonprofit, non-membership organization.